Acoustics is the study of sound and its behavior in any medium, be it air, water, or even something solid. When objects vibrate, they create pressure waves that alternately compress and decompress molecules as the wave travels through the medium. Sound waves radiate in all directions away from the source, for example, ripples on the surface of a pond. 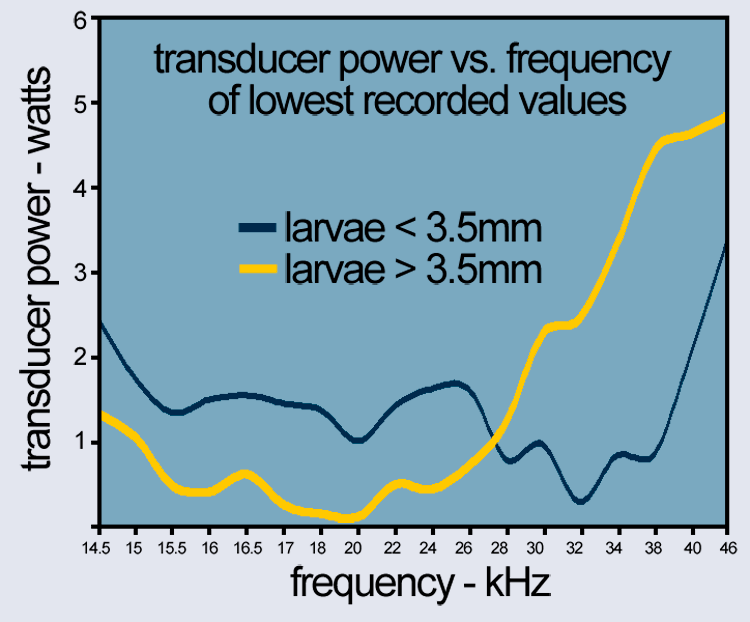 Sound waves are typically described by two basic components: Amplitude and Frequency. Amplitude describes the “loudness” or amount of energy that is in the waves. Frequency is the number of times a single wave passes through a reference point. The more often the waves passing by, the higher the frequency. Frequency is a critical in Acoustic Larvicide©. Using the correct frequency leads to an effect called “resonance”. Matching the resonant frequency of a material means that energy can be built up to a greater extent. For example, a swing set at the park uses the principles of resonance to reach its heights. Energy is stored up gradually as the legs are swung at the resonance of the swing set. Resonance is also the effect used to break a wine glass using only sound. When resonance is achieved, it can be a powerful tool. 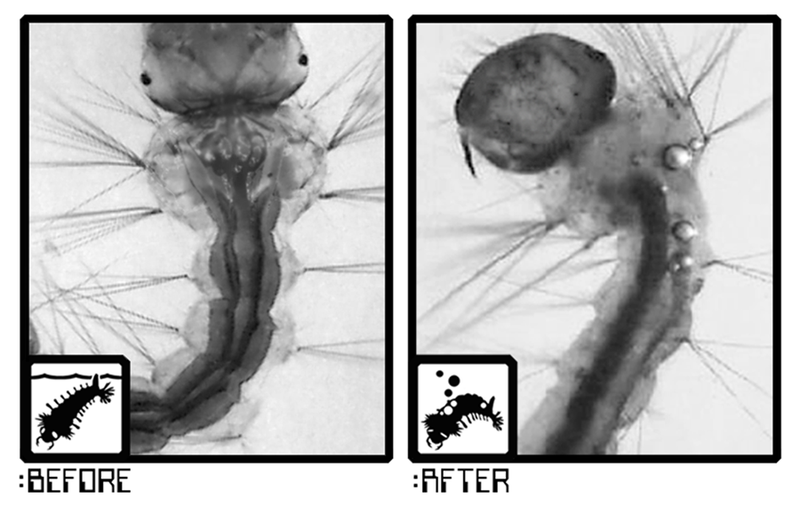 Every mosquito contains small amounts of air in the dorsal tracheal trunk. These air bubbles come in various sizes depending on the species of the mosquito. The objective of Acoustic Larvicide© is to sweep through a range of frequencies that will resonate with the air bubbles. The air absorbs this energy and starts to vibrate and ruptures the membrane of the mosquito. The resulting bubble travels up through the body, causing both instantaneous and latent mortality.